Livestock producers looking to add to their fall and winter grazing options should consider forage oats. This versatile forage crop provides numerous benefits to pastures that last far beyond the fall and winter grazing seasons. 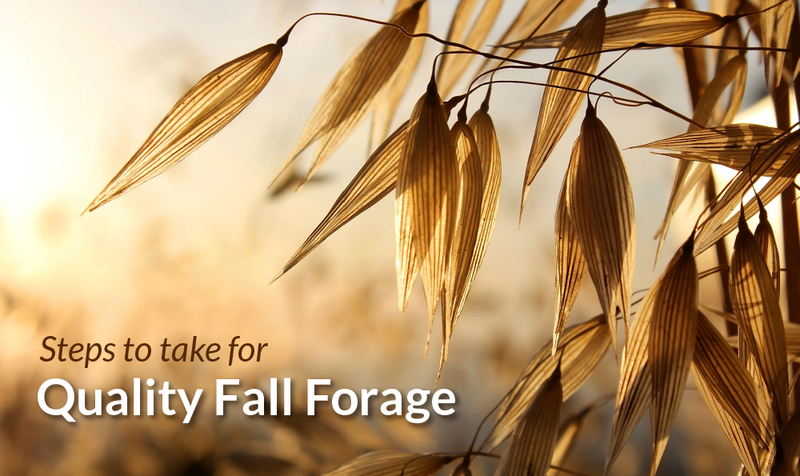 Throughout the South, forage oats can be planted as early as September or October for pasture forage that lasts from the fall throughout the winter. In the northern part of the south, the forage oat seed can be spread starting in late August if the seed is going into a prepared seedbed. Generally, the seed can be planted until the end of October for quality production. RAM™ Forage Oats from Ragan & Massey are winter hardy and will provide grazing in October if planted in September and appropriate moisture is present. This will provide earlier grazing opportunities to livestock producers than other winter forages like ryegrass or wheat and will provide grazing through April. Forage oats are adaptable and can be planted in a prepared seedbed or drilled into an established pasture that has been disked. The seed should be planted ¾” to 1½” into the seedbed with good soil contact. Oats should be planted at 100 lbs. per acre when planted alone. This seed also can be mixed with ryegrass at a rate of 60 lbs. of oats and 25 lbs. of ryegrass seed. When looking for a forage oat seed, it’s important to look for one that has been tested in the area of the country you are planting. In addition, look for a seed that is clean and free from weeds, with no fillers or unnecessary coatings. The goal is to plant for full stand establishment, and purchasing a quality seed helps achieve that expectation. Ragan & Massey offers RAM™ Forage Oats that were created to be a small grain forage. This seed is cold tolerant, produces proven yields of up to 12,000 lbs. of quality dry matter and is rust resistant.